Harnessing HPC and big data, the interactive app AirVisual Earth lets you see what you're breathing. Visualizing a problem is one of the first steps to solving it. How can one solve a problem if they can’t see it? Something in the air. The interactive AirVisual Earth app brings invisible (and harmful) airborne particulate matter into view. Click here for a full screen version. Courtesy Yann Boquillod. That’s the challenge with airborne particulate matter (PM). According to the US Environmental Protection Agency, PM is a combination of solid particles and liquid droplets from sources such as construction sites, smokestacks, or unpaved roads. PM can create consequences for communities because it remains in the air for long periods of time and can find its way into the bloodstream. The World Health Organization estimates that 6.5 million deaths worldwide in 2012 were the result of air pollution. But since some of the particles, known as PM2.5, are just 2.5 microns or less — 30 times smaller than the width of a human hair — they can be difficult for people to visualize. To bring the problem into view, data scientist Yann Boquillod created an interactive visualization of PM2.5 pollution data called AirVisual Earth. The graphic allows users to engage with PM2.5 data in a real, tangible way. 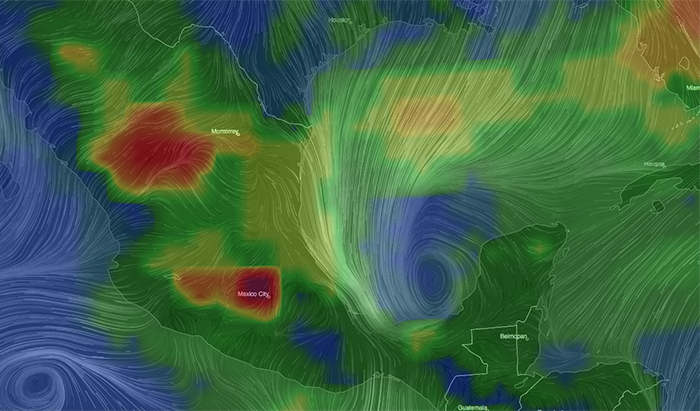 “We created the AirVisual project to empower people and bring this pollution data into visualization,” Boquillod says. To help the public tune into air pollution, Boquillod used high performance computing (HPC) to compile data from a variety of sources: Ground monitoring stations, satellite imagery, and an array of proprietary air quality sensors. HPC also allowed Boquillod to take data from over 200 different government sites and convert it into a single format. 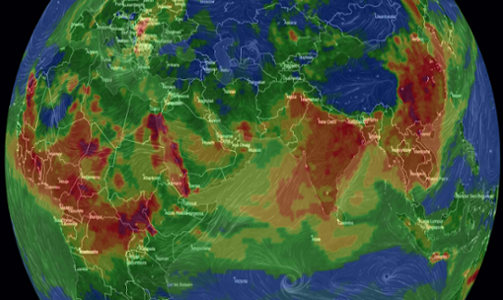 The visualization shows an air quality index (AQI) on a scale from 0 to 300+. Higher scores mean the AQI can create health problems for a community. By clicking points on the map, users can see the PM2.5 levels for specific areas. The applications of AirVisual Earth are broad and far-ranging, Boquillod notes. As people become aware about air quality in their communities, they have information they can use to demand action from leaders on topics such as climate policy. The visualization can also help people become aware of their own contributions to air pollution.